Any review about kite and how good is in fighter kite world? Can You send me link , photo or name of competition fighter kite-to see how competition fighters look. Any tips about difference in construction between ordinary and competition fighter? 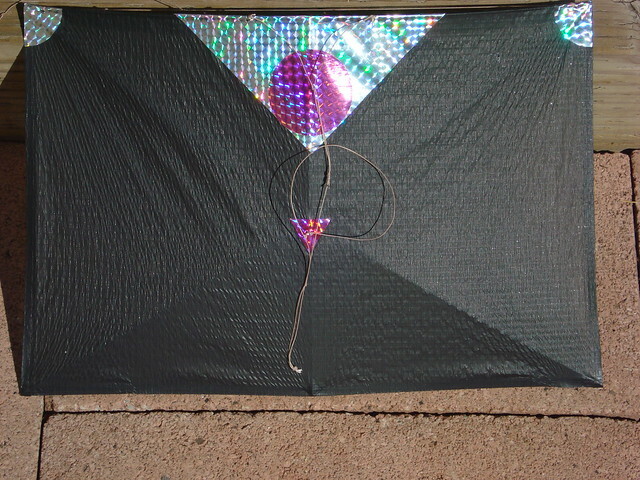 Under the "Buy/Sell," section of the NAFK web page, there is a link to some mylar, "Fusion," kites available. These are designed by Bruce Lambert. Great kites and the multi packs with line/winders are a great way to get started in North American style fighter kites. The Hoopty is a solid flier. Not top-level competition, but good enough to win some local competitions in good hands. My main beef with it (if you don't mind paying ~$45 for a fighter) is that the spine-bend mechanism Jeff used started slipping after a year or three, and I couldn't figure out how to get it to "stick". Thin clear plastic tubing sliding over a micro-CF rod. I also made an Icarex fighter from an online plan for a Barillocco (spelling?) that was very close to a Hoopty clone and flew very nicely. The Fusion fighters fly well, though they do vary from kite to kite. My fave "disposable" fighter kites are Yoni's Indonesians -- I bought 200 from him a few years ago and I'm just starting to wonder if I have enough left. (Yes, I sold a bunch!) My fave "durable" fighter kites are Gumby's two designs, the Gumby and the EZ. Bruce's various almost-square designs are also great places to start building fighters. I still love the BASF ("Bruce's Almost Square Fighter"), though he's done several variations on it since. I don't understand. You want to buy a $ 44 fighter kite that will flown perhaps only one time ? Line touch fighting (North American style kite fighting) is not so hard on kites as traditional Asian kite fighting. 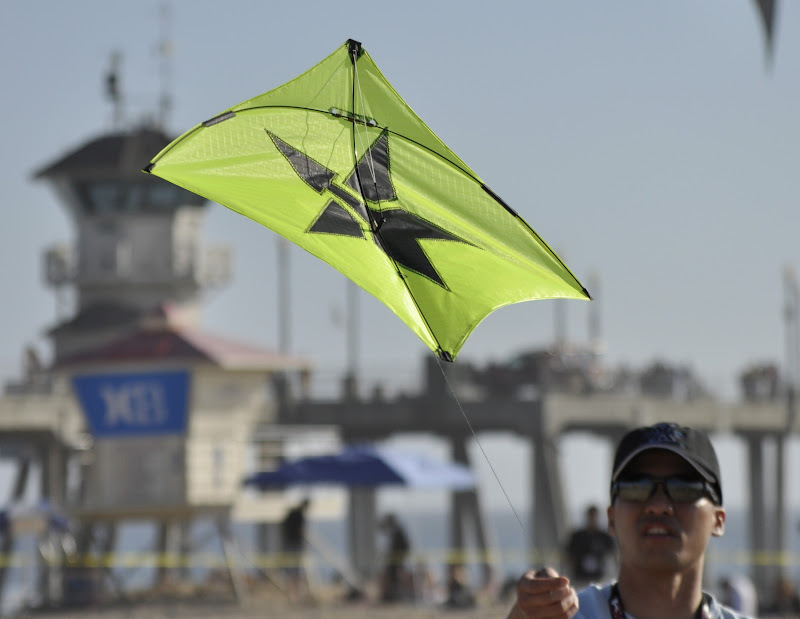 North American comp fighters are considerably smaller and faster than traditional kites and are generally flown on shorter (non-cutting) line. A fighter like the Hoopty is more of a recreational "fighter". Very durable. I have two that date back to 1998. Two hooptys against each other would be a fair fight, and plenty of fun, but it would be hard to score points against a comp fighter with one. Most of my time on fighters (dating back to 1977) has been solo rather than fighting, so even tissue paper kites can have a fairly long life. I flew an AeroStar Stryke Fighter at KP10. fliers came over to give it a shot. They were quite good.